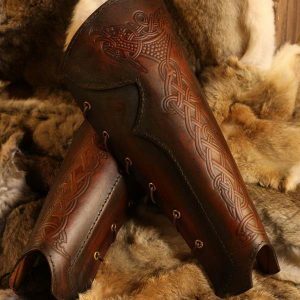 The Vendel Raven SCA Leather Body with Shoulders are?one of the most unique designs to be offered by Black Raven Armoury , these?have been professionally dyed and built for you by ourselves. Created & designed by Alex Agricola, the whole set is made of premium grade?top grain Veg Tanned leather (laminated to a minimum 6mm thickness). 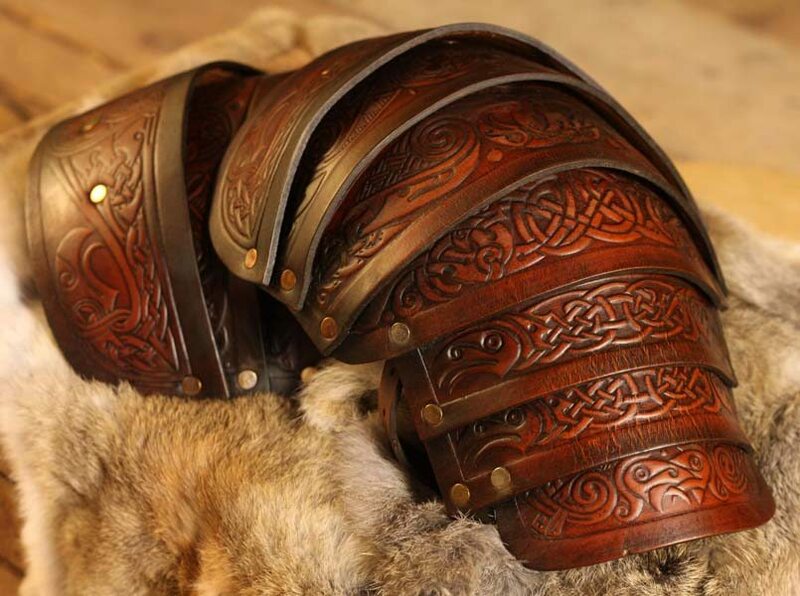 The Vendel Raven Leather SCA Body / Chest Piece/ Breast-plate is a perfect foundation from which? 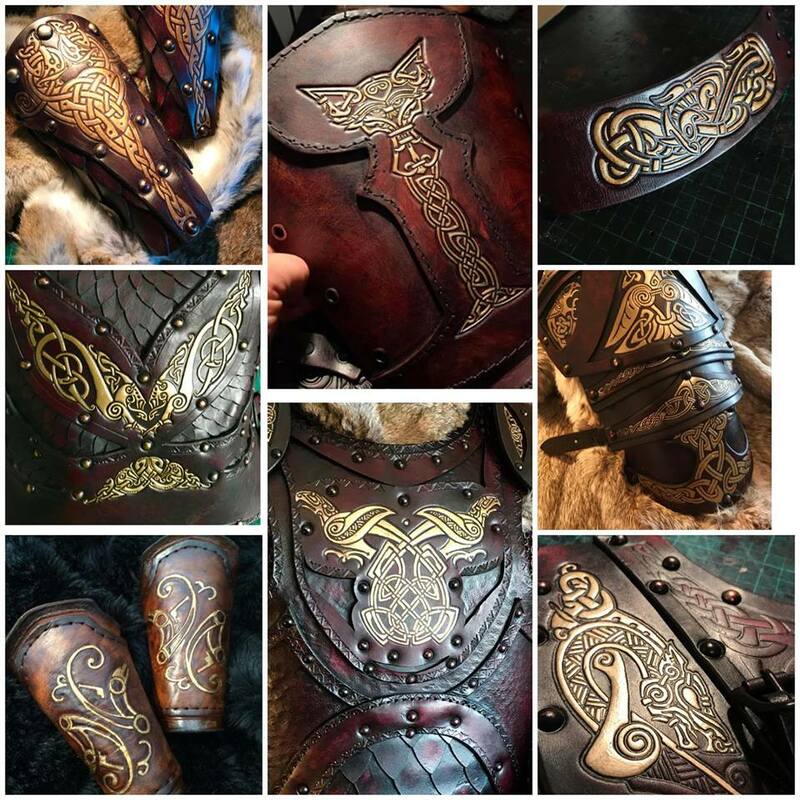 to create your own distinctive leather armour look. Designed by? 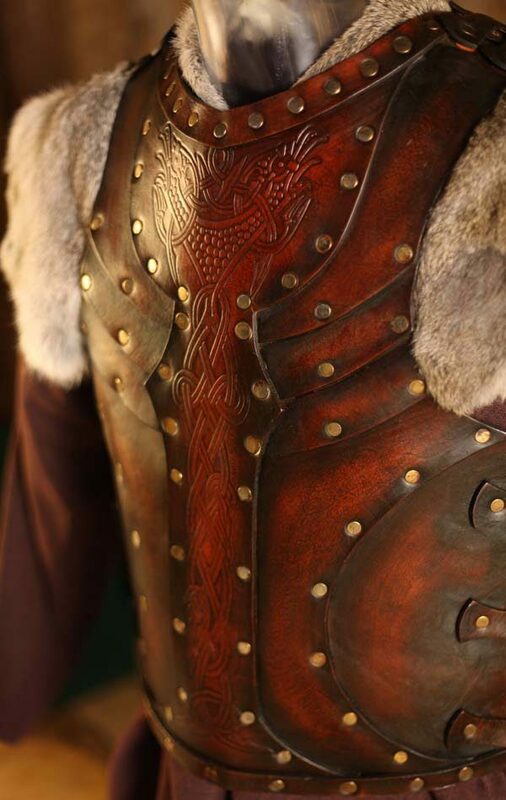 our own Alex Agricola, the Vendel Raven SCA leather Body is a tough leather chest plate with an attractive embossed centrepiece. 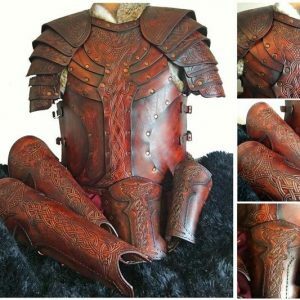 The matching shoulders (pauldron) complete the armour for anyone looking for a simple yet striking leather armour. 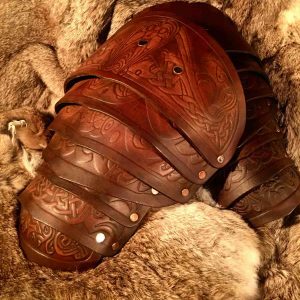 the Vendel Raven SCA Leather Armour Body? 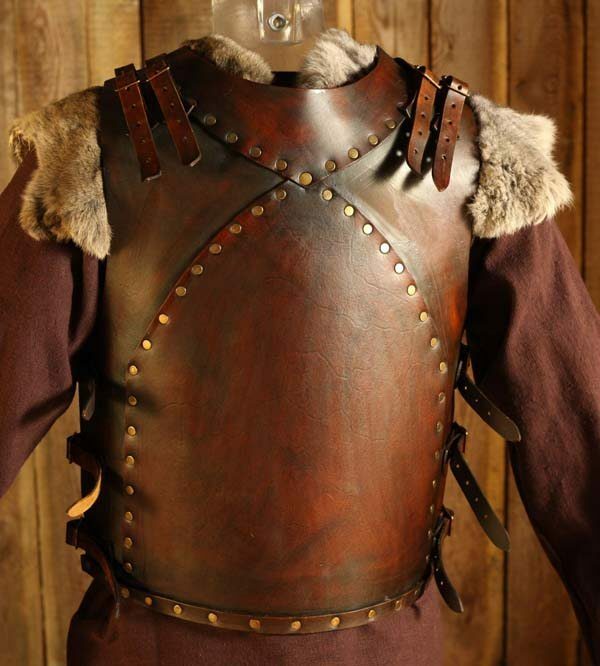 is one of our most popular designs and is professionally dyed and built for you by our craftsmen.? The body and shoulders are? formed from premium grade top grain Veg Tanned leather (laminated to a minimum 6mm thickness).